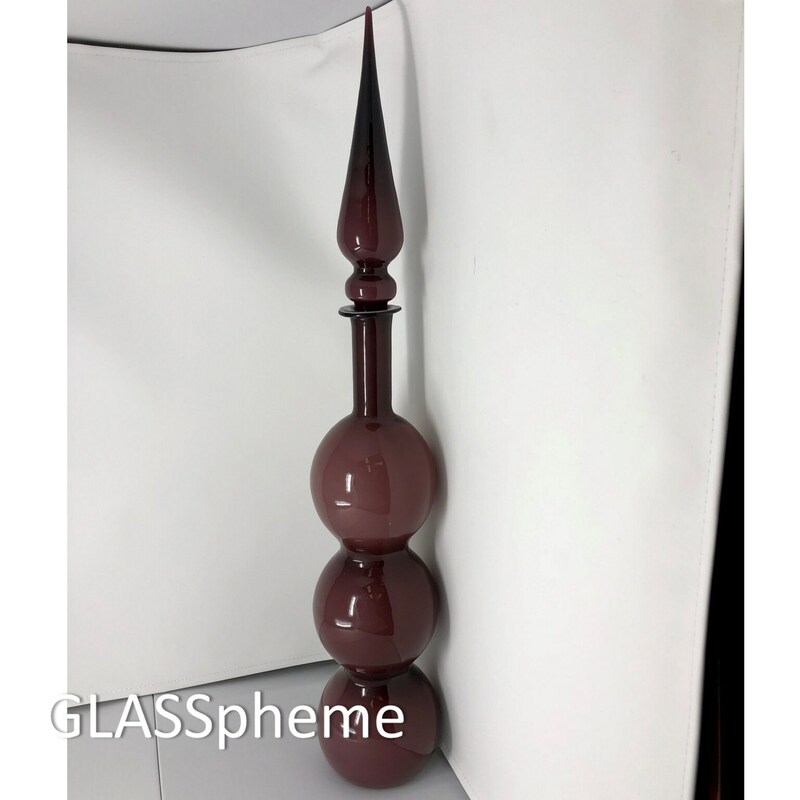 This amazing piece of mid-century mod Empoli cased glass features the classic and highly coveted 'gurgle' decanter design body paired with an unusual 'gurgle' stopper. 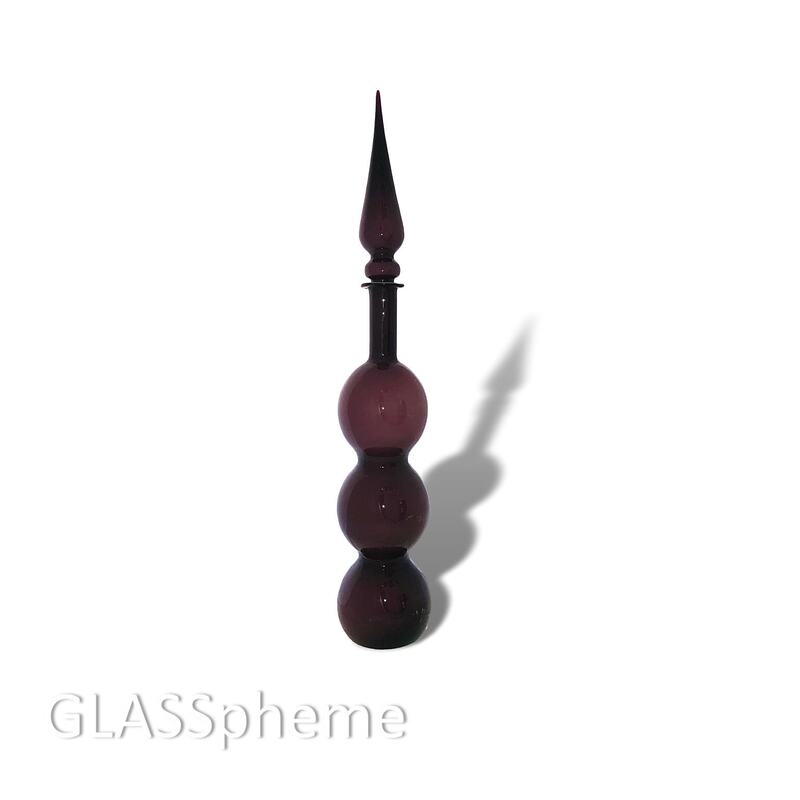 Together, the decanter soars to nearly 30" tall! In the years I've kept this beauty to myself, I've never seen another decanter with the same stopper, so I've always wondered whether this was a marriage. The stopper fits well and is very sturdy, but the stopper base wedges into the bottle neck--the 'gurgle' part of the stopper doesn't rest on the flange. Yet, the brilliant amethyst colors, heft, sheen, etc. 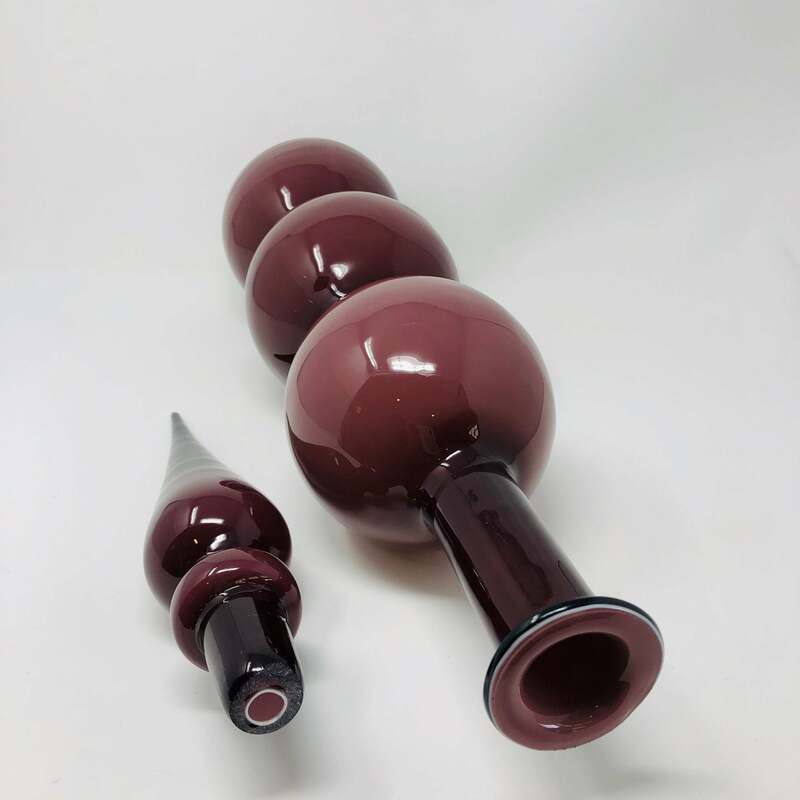 on both pieces are identical--and creating a 'gurgle' decanter with a stopper also featuring its own little 'gurgle' seems so obvious, it raises the question why all other mid-century Empoli cased glass 'gurgle' decanters don't feature 'gurgle' stoppers. 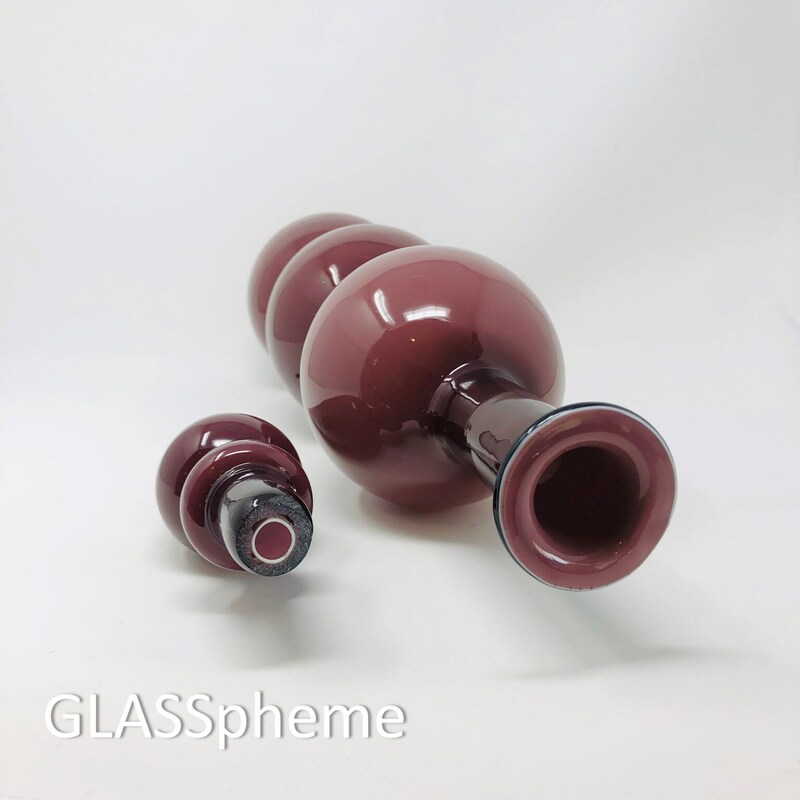 CONDITION: A few significant scuffs on the lower two orbs on one side of the decanter (impossible to capture in a photo and nearly as impossible to spot on display); great shape otherwise.